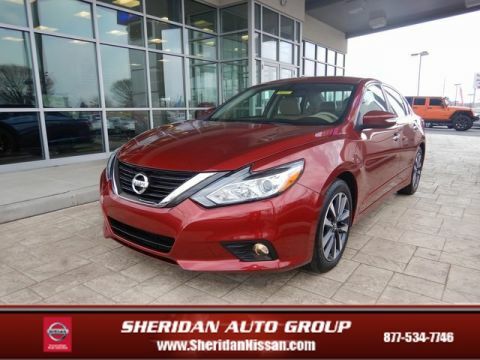 Serving the New Castle area, Sheridan Nissan, located at 114 S Dupont Hwy in New Castle, DE, is your premier retailer of new and used Nissan vehicles. Joe Sheridan has been a leader in Delaware for more than 30 years! New vehicle pricing includes all offers and incentives. Tax, Title and Tags not included in vehicle prices shown and must be paid by the purchaser. While great effort is made to ensure the accuracy of the information on this site, errors do occur so please verify information with a customer service rep. This is easily done by calling us at (302) 613-4187 or by visiting us at the dealership. 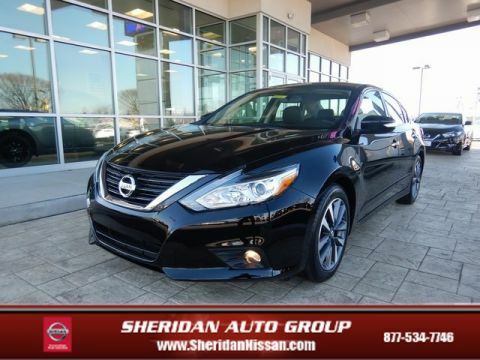 2016 Nissan Altima 2.5 SV Certified. CARFAX One-Owner. Clean CARFAX. 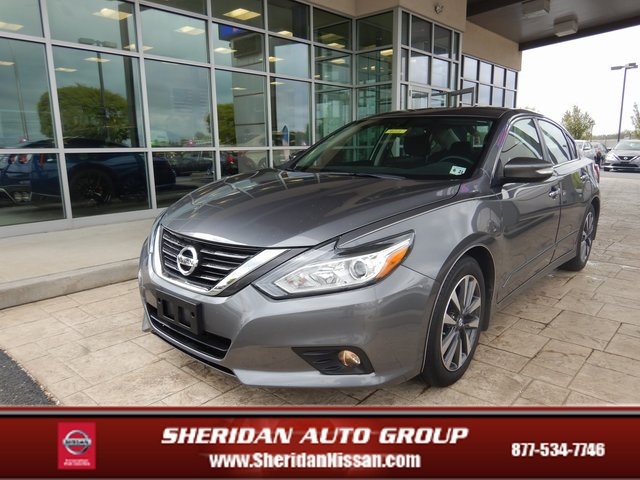 Gun Metallic 2016 Nissan Altima 2.5 SV FWD CVT with Xtronic 27/39 City/Highway MPG 2.5L 4-Cylinder DOHC 16V Altima 2.5 SV, 4D Sedan, 2.5L 4-Cylinder DOHC 16V, CVT with Xtronic, FWD, Gun Metallic, Charcoal w/Cloth Seat Trim, AM/FM radio: SiriusXM, Auto-Dimming Rear-View Mirror, Automatic temperature control, Cold Weather Package, Compass, Convenience Package, Front dual zone A/C, Heated Front Seats, Heated Outside Mirrors, Heated Steering Wheel, HomeLink Universal Transceiver, Manual Folding Outside Mirrors, Navigation Package, NissanConnect w/Navigation & Mobile Apps, One-Touch Auto Up/Down Passenger Power Window, Power Sliding Moonroof w/Tilt, Side Cargo Net, SiriusXM Traffic & Travel Link, Wheels: 17" x 7.5" Machined Aluminum Alloy. Certified Pre Owned Vehicles may include incentives that require financing with NMAC. 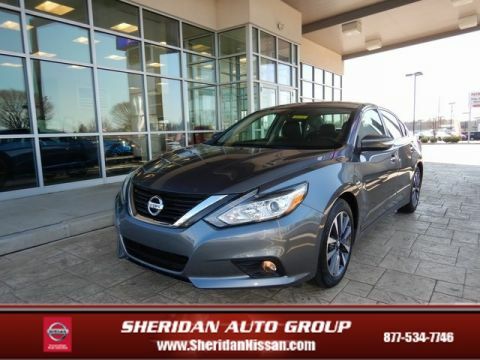 Please contact Sheridan Nissan for more information. Go See Joe! Sheridan Nissan is the home of the Life Time Oil Club, along with the highest rated Service Department in the area. We have been serving the Delaware community for more than 30 years, and we look forward to serving you! Our dedicated sales staff and top-trained technicians are here to make your auto shopping experience fun, easy and financially advantageous. Please utilize our various online resources and allow our excellent network of people to put you in your ideal car, truck or SUV today!